Penguin Basements | Get more out of your home, with a home gym. 28 Jul Get more out of your home, with a home gym. According to data from www.statista.com, Gym Memberships are on the rise in Canada. And gym related revenue (memberships, clothing, supplements) is also expected to show growth of 8.2% from 2018 to 2022. Did you know that the Fitness segment is a CDN $250m industry in Canada? 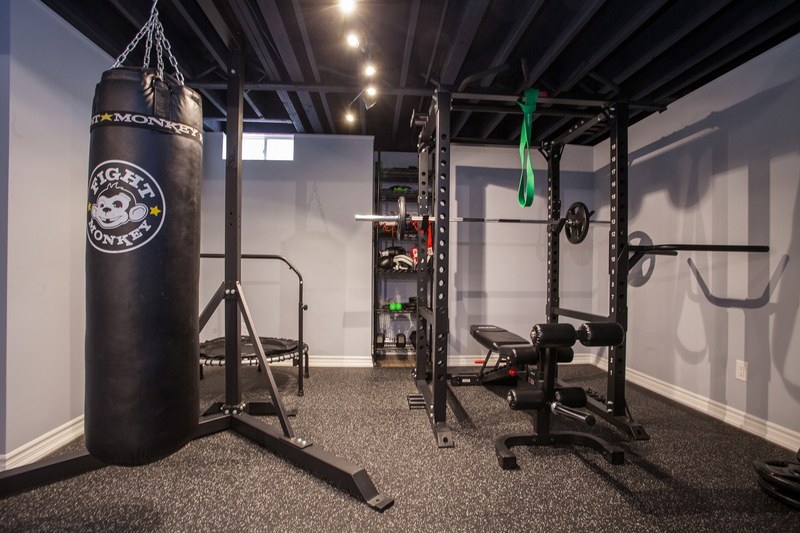 Now, we applaud this increased focus on fitness, but to really make a healthy lifestyle part of you home life, we suggest adding a home gym to your basement renovation. With gym membership fees constantly on the rise, and daily life commitments taking up more and more of your precious time, a home gym really starts to make sense. Best of all, making a home gym part and parcel of you basement renovation allows you to build a gym around your specific needs and wants. No machines sitting idly by, or worse with a line-up to use. And a home gym allows you to maximize your daily routine by eliminating the need to share equipment, or to take the time to travel to a gym in the first place. Furthermore you can design you basement gym as part of a larger retreat that could include an additional washroom and shower, a juice bar, a sauna, or a simply decompression space with a large screen TV. And by having you gym at home, you encourage other members of your family to engage in this healthy lifestyle choice. If you are thinking of a basement renovation in your future and you’re a big fitness fan, be sure to talk to the companies you invite to the table to design and build your basement about your ideas and your needs. After all, it’s your dream basement build and this previously wasted space should fulfill as many of your family’s needs as possible.